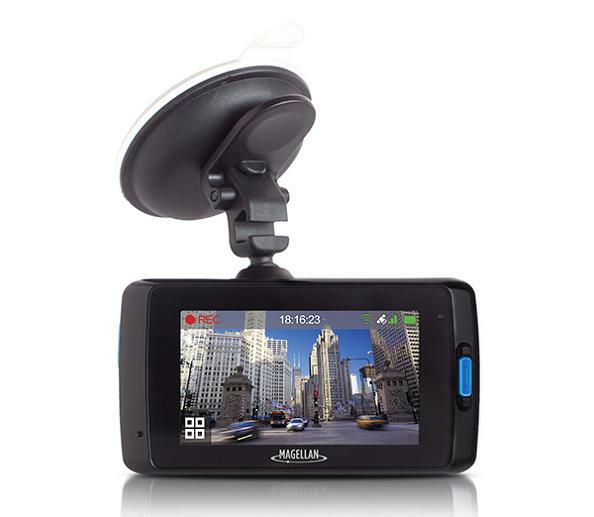 Collection of 'Must Have High Tech Car Gadgets' from all over the world. RayGo: RayGo is designed to so that you can respond to messages while driving without looking at your smartphone. 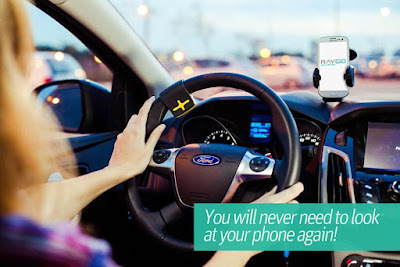 It lets you safely use your favorite apps like Messenger, Whatsapp, Gmail, Skype and Pandora while driving or biking. A 5 key Bluetooth controller fixed on your steering wheel makes things a lot easy for you. When you begin driving, the RayGo's app senses and automatically transforms your favorite apps to DriveMode. Truvolo: Truvolo Drive plugs in to your car's OBD and connects with your smartphone via Bluetooth. It collects data while you drive and sends to a secure platform where all the number processing happens and the raw data transforms into information that is actually useful to you. 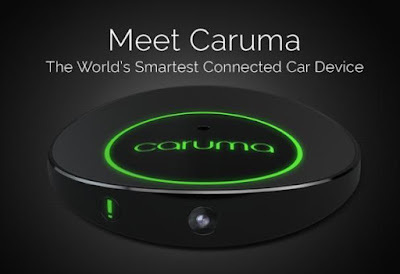 It also connects all the cars and drivers in your family. 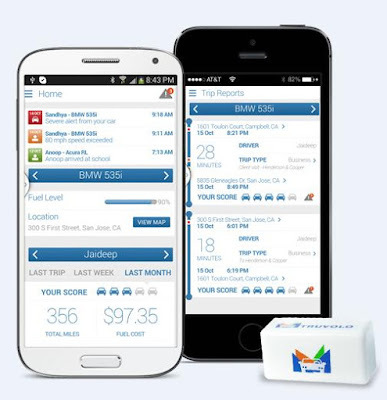 It makes it easy for you to manage all cars and drivers in your family in one place. It can save your favorite locations and receive location alerts when your car reaches a location and customize alert settings for each driver in your family. 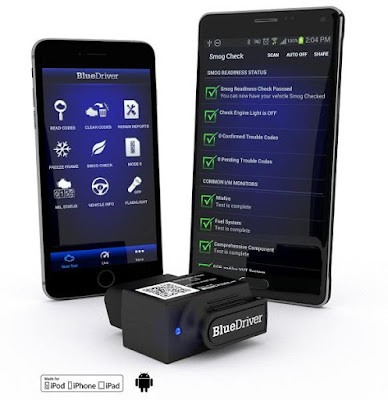 Apart from these it let you know if your car is being driven safely, and if it is safe to drive, detect unsafe driving and alert you, tells you why your check engine light is on and shows you a driving score, so you can work on driving safer. 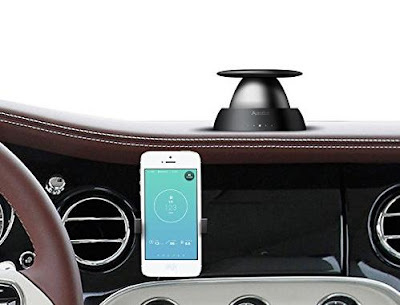 It also provides you maintenance reminders, low fuel alert, commute suggestion and a way to classify your business and personal tours separately. TrunkMonkey Bike Carrier: The TrunkMonkey Bike Carrier is a portable and inflatable bike carrier that is truly universal for all vehicles and all bikes. 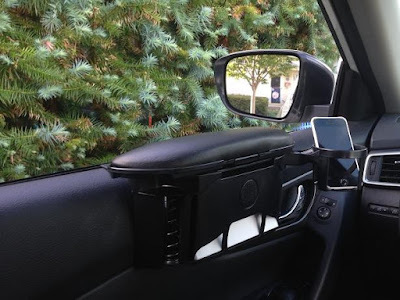 It's compatible with any vehicle with a rear trunk or hatch and can secure any bike. 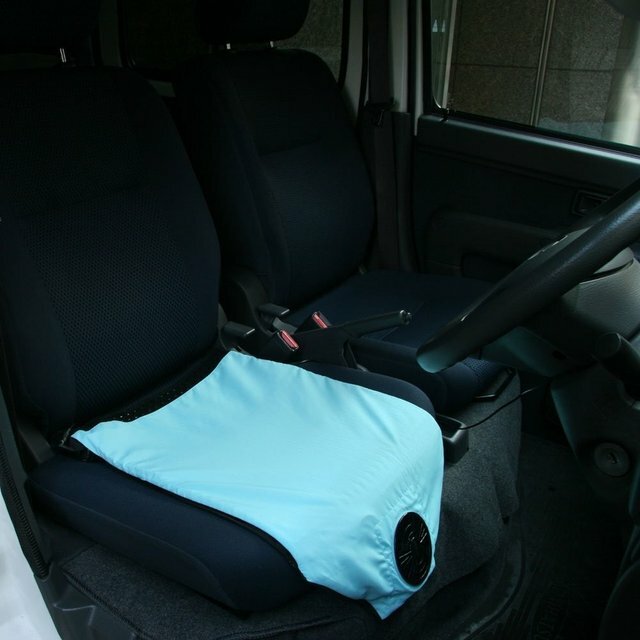 Aero Seat Cooling Cushion: Aero Seat is a cooling device that funnels a cooling wind through the materials. 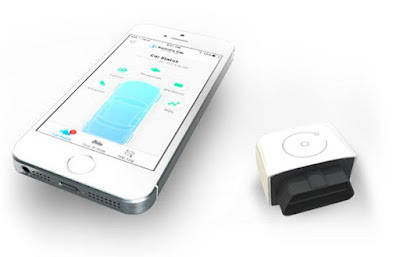 You can adjust the wind speed to high or low depending on weather and how you feel. 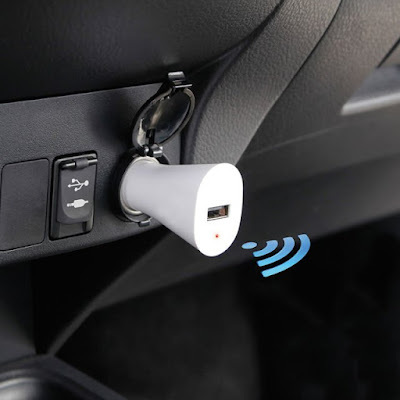 Automatic Parked Car Finder: The Automatic Parked Car Finder plugs into a car's power outlet and when the car's engine is turned off the device automatically marks the location of your car on a its iPhone app. 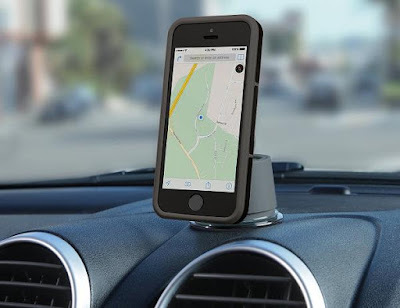 When it's time for you to return to the car, all you need to do is check the app for your automobile's location on the map. 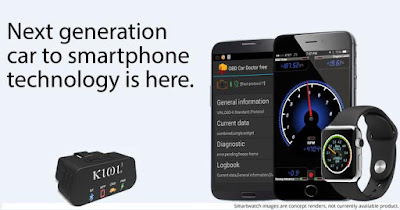 Every location has time and day stamped to make things easy for you. It also features USB port built-into the beacon that allows you to recharge your smartphone or other gadgets. 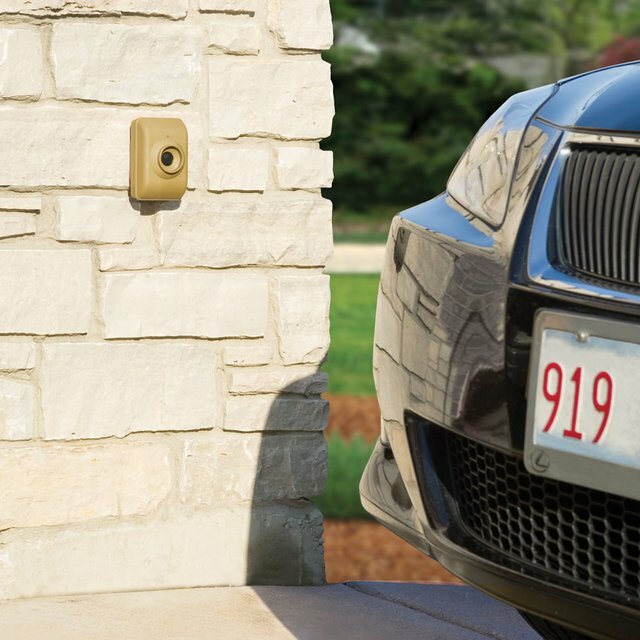 1/2 Mile Driveway Alert: This device alerts you when a vehicle is coming up the driveway from as far away as 1/2 mile. All you need to do is attach a remote motionsensor to a mailbox post or address sign at the end of your driveway and it detects a moving vehicle (up to 80' away), and sends a wireless signal back to the monitor in a home. 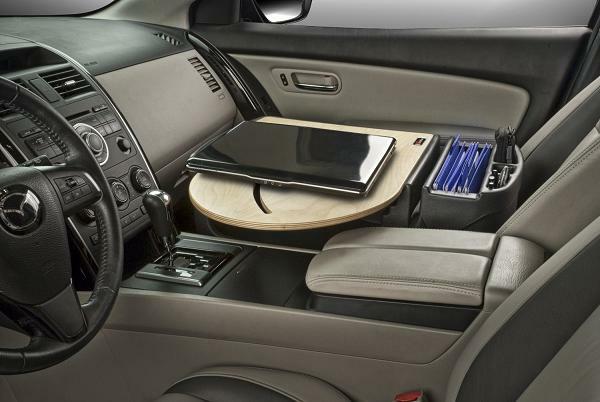 RoadMaster Truck Desk: The RoadMaster Truck Desk allows you to secure a laptop that is up to 17 inches in size and comes with a hidden storage space beneath the work surface.